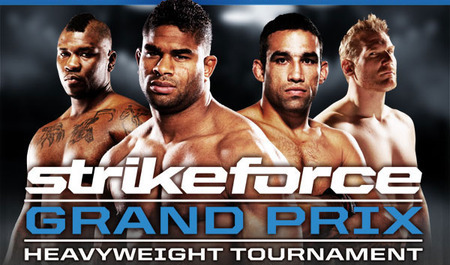 Strikeforce Heavyweight Grand Prix Tournament | MMA Fighting Events Videos Techniques UFC Fight Picks and News. This Strikeforce card should be exciting to watch as the big boys will be exchanging chingasos in an effort to make it to the Heavyweight finals and continue their quest to reign over the Strikeforce Heavyweight division. Someone might go to sleep in this one. Allistar Overeem is a hard hitter and is known as a finisher, but he is facing the only man to finish the once thought invincible Fedor Emelianenko. Brett Rogers also has KO power but he is facing a crafty MMA veteran in Josh Barnett. I like submissions in MMA an would like to see Werdum pull one off, but I think Overeem will be ready with a strong takedown and submission defense. 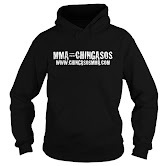 Overeem has K1 level striking and will overwhelm Werdum by keeping the fight standing and raining down chingasos! Brett Rogers has KO power, but Barnett is a veteran with slick submissions and grappling ability. Barnett will use his experience to stay out of a KO and will do enough with this grappling to pull off a decision victory. Here is the complete MMA (Mixed Martial Arts) fight card for tomorrow night's Strikeforce Grand Prix Tournament.